A Bookkeeping Solution LLC specializes in bookkeeping and human resources services. Our Mission is to assist our client’s growth by doing the accounting, payroll, and human resources functions of the company so the client can focus on growing their business. We are Certified Bookkeepers and members of AIPB. We are QuickBooks Certified ProAdvisors, and can set up the program for you, or update your current edition. We will create custom reports that will allow the CEO to gather the critical information that they need to make accurate decisions. A Bookkeeping Solution is members of the Tucson Metro Chamber of Commerce, AIPB, The Bookkeepers Club and Brenda is a member of NAPW. A Bookkeeping solution offers many services to our clients, but recognizes that each client is different; you choose to put together the services that are going to help you become successful. Please see our Services page for a partial list of services we provide. 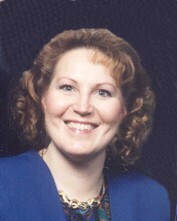 Brenda was raised in the small farming community of New London, located in central Minnesota. She married at an early age and moved to Juneau, Alaska where her oldest son was born. It was here that Brenda began her accounting career when she began working for the State of Alaska as an Accounts Payable Clerk. Since living in Alaska she has also lived in Minnesota and is now located in Arizona. With more than 30 years of accounting and bookkeeping experience in retail, non-profit, medical and service industry and an extensive background in construction and restoration contractor accounting, Brenda founded A Bookkeeping Solution in 2008 as a home based business doing bookkeeping for 2 companies. The company’s current client base has grown to include veterinary offices, fulfillment services companies, toy manufacturers for special needs children, insurance agencies, home and business alarm companies and construction companies. The bookkeeping services offered are customized to the needs of the client and can be everything from company set-up to all of the day to day tasks such as paying bills, tracking accounts receivables and payables, making bank deposits, reconciling bank accounts, preparing sales tax reports, processing payroll along with the payroll taxes and required government reporting. The company utilizes the QuickBooks products and Brenda is a Certified QuickBooks ProAdvisor. Brenda is also a Certified Bookkeeper and is a member of AIPB.